Since our founding in 1984, S.P. Parkin & Co. has grown to become one the most-respected fee-only wealth management firms in the nation. Our unique approach has built solid relationships, which last for multiple generations. 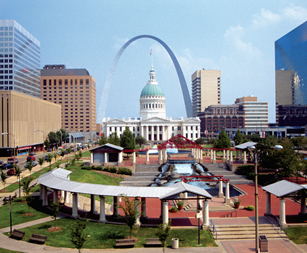 Based in St. Louis and independently owned, we are not affiliated with any broker, bank, accounting firm, law firm, or insurance company. We provide consultation and coordination: We sell no products. The advice you receive from us has one goal: to serve your best interest. Our company culture emphasizes excellence in all areas of financial planning, estate planning and portfolio management. Consisting of experienced professionals, our staff takes a hands-on approach to financial guidance. Not only do clients find our team members knowledgeable, but they also discover that our staff truly cares about making their dreams a reality. We do everything in our power to show our clients the importance of maintaining a disciplined approach to realizing their dreams. To be effective, your financial strategy must keep pace. Working to align strategies with your opportunities, your wealth advisory team works together, analyzing information, sharing ideas and ensuring that each solution and recommendation we present to you is consistent with the big picture. Together, we will help you develop a strategy to build, preserve, enjoy and transfer your wealth. At S.P. Parkin & Co., our goal is to structure a wealth management relationship that reflects the many ways in which your personal and financial lives intersect. We listen carefully, analyze thoroughly and assemble your wealth advisory team — skilled professionals who deliver proactive advice, anticipate challenges and maximize opportunities. Please pay a visit to our Client Resources section, too. If you have any questions about your current financial situation or wish to schedule an appointment, please send us an email or give us a call at 800-714-7884. The recommendations of your advisor and specialist team are informed by institutional-quality investment thinking within the spheres of S.P. Parkin & Co. In a dynamic financial marketplace, intellectual capital is often as valuable as financial capital. It is essential to identifying opportunities and assessing risk, and to developing sophisticated, innovative solutions. In an environment that constantly presents new challenges, our vigilance, analysis and insights create new intellectual capital, enhancing our ability to serve you further. Because we are relatively small, S.P. Parkin & Co. can be much more personal. We endeavor to provide a degree of customization and personal attention that is generally unavailable from larger financial institutions. Many services are provided in-house. And, when more specialized expertise is required, S.P. Parkin & Co. provides access to our extensive network of independent specialists.